We know that addiction is a “biopsychosocial” disorder. That is, it has three very different parts or components that all must be addressed if a treatment approach is to give an individual the best shot at achieving recovery. It also means it’s a complicated disease that can be difficult to understand, as its manifestations do not directly correlate to a person’s “desire” or “motivation” to stop using illicit drugs. But one of these three areas, the “social” aspect of the disease, plays out in an individual’s environment and most especially a person’s home life. Prescription pain killer and heroin use and abuse tends to happen within someone’s social circles, whether it’s a network of close friends, within one’s family or a combination of both. This is why it is crucial we do all we can to encourage ALL members of a family dealing with addiction to enroll in treatment. 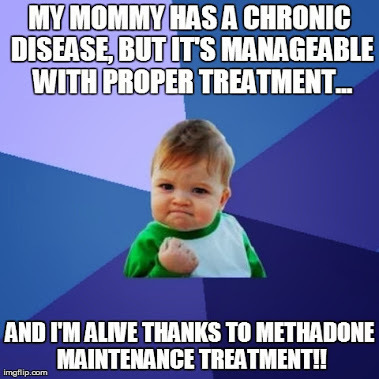 Despite colleagues telling me to expect it, I couldn’t help but be shocked when we started accepting individuals for our waiting list at the opioid treatment program in Chatsworth, Georgia where I serve as the Administrator and Program Sponsor that I was receiving calls from entire families that needed and/or wanted treatment. I received calls from mothers, sons, sisters, wives, husbands, in-laws, friends and neighbors. Calls came from those who were employed and unemployed, those whose addiction began due to a legal prescription and those whose substance abuse began with intravenous heroin. Almost every corner and class of our southern society is represented among the individuals I have spoken with that need treatment, but my thoughts continue to go back to the several families that together have sought treatment and what that means. 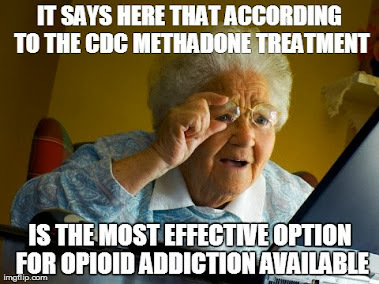 At first the stigma against and around substance use disorders that permeates every level and segment of our society, the stigma that effects even those of us who work within and advocate around and for the opioid treatment field, may cause us to wonder, “What in the world went wrong in that house?” or “How could a parent knowingly use illicit drugs, opioids or otherwise, with their children?” or “How embarrassed I would be to walk into a program and the staff know my entire family are addicts.” How easy it is even for those of us who know better to fall into such a trap. But we have to remember that opioid addiction is a complex illness, and that there is a biological or “bio” component to this illness as well that has a genetic component we are just starting to learn the very first things about. Like many (most) other metabolic disorders we see trends within families that can span generations. If we believe the science and truly believe it when we say addiction is a disease, why would opioid addiction be any different? But it’s the “social” aspect of a biopsychosocial disorder that really sets chronic opioid addiction apart when we consider family life and relationships with close friends. It becomes very difficult for an individual to find long-term, sustained recovery when those who they are closest to – whether it be their immediate family or close friends and roommates – continue in active addiction. When individuals enter our treatment centers that we know have spouses, partners, friends or family with which they live and are around on a regular basis who also deal with opioid addiction it is critical that we do all we can to encourage the entire circle to enroll in treatment. Not only is it critical for discovering recovery for an individual to no longer continue in an environment of illicit drug use, but it can also become a very real risk of treatment medication diversion to illicit use. In my talks with medication-assisted treatment patients across the country through the advocacy work I have been involved in over the past several years I’ve heard time and time again about couples “sharing” the dose because they can only afford for one of the pair to go to the clinic. 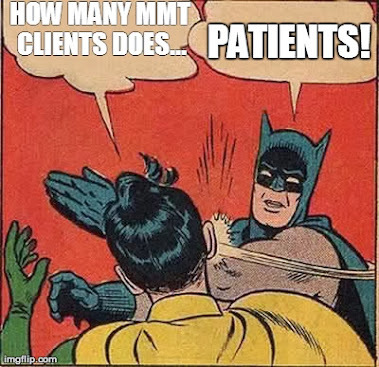 I’ve heard situations where the individual in a partnership that is in treatment is doing wonderful and is committed to recovery, but they “cave” when their significant other is in withdrawal and asks them for a bit of their weekend dose. There are a number of scenarios that can and do occur when one individual in a partnership or family of addicts is enrolled in treatment and the other(s) is/are not. So what can programs do? There are many approaches that try to address this issue that clinics have implemented that include offering couples/family discounts on treatment fees to setting up couples to have counseling sessions together. I certainly don’t have all the answers, ideas or solutions, but I am convinced this is an issue on which we need to continue to brainstorm and focus. How can we better encourage couples and family members/close friends to collectively enroll in treatment? There is a spectrum of potential issues that can arise when one patient remains in a relationship or living in a home where others continue illicit opioid use. It can be a barrier to that individual finding recovery when he/she may otherwise be headed for a restored and productive life. It can be a situation that ends up leading to diversion of treatment medications to illicit use that raises even more issues such as potential overdose and death. What other complications have you seen with patients who are in treatment but remain in relationships with or living in homes with individuals who continue active drug use? Talk about it with your staff. Talk about it with colleagues at OTPG meetings and other professional gatherings. This is an issue that we are all aware of but that too often becomes a sort of “elephant in the room” that we don’t want to discuss. But lives are at stake here, and if we claim to be leaders in the treatment of prescription pain killer and heroin addiction then it is up to us to continue finding solutions to these complicated issues. what I can do. The drive is getting to be too much! Great article!